Ailbe Beirne, Echo Echo Dance Theatre Company Manager and Co-Producer of the Echo Echo Festival of Dance and Movement talks about his role with the festival, the origins of the idea and outlines how the festival has gone from strength to strength over the past 4 years. "Echo Echo’s work has always defied categorisation. It is dance but a truly unique approach to movement that we call ‘Poetic Movement’. It is challenging and deeply professional but intrinsically participative and accessible for all ages and abilities. It is an ecosystem of people, practice and projects that connect and inspire in so many different ways – professional dancers, people with disabilities, young people, theatre practitioners, adults of all ages, designers, musicians, schools and children. The idea for a festival of dance and movement began long ago in the minds of the company’s founding artists Steve Batts and the late Ursula Laeubli. When Echo Echo arrived in Derry twenty years ago in January 1997, contemporary approaches to dance were undeveloped locally. Over the following years as resident company at the Playhouse and Waterside theatres, and now at purpose-refurbished Echo Echo Studios on the City Walls, connecting national and international networks of artists and artistic practices with local people – artists, audiences and participants – has very much been at the heart of the Echo Echo’s work. Many local participants during these years have gone on to professional careers as dancers, actors and teachers in Ireland and abroad. Not long after I began working with Echo Echo in 2003 I attended Edinburgh Fringe, and in particular the Aurora Nova venue at St Stephen’s, where I watched a series of phenomenally inspiring and genre-defying theatre works by companies like Jo Stromgren Kompani, Do-Theatre, Renegade Theatre and Song of the Goat Theatre to name but a few. 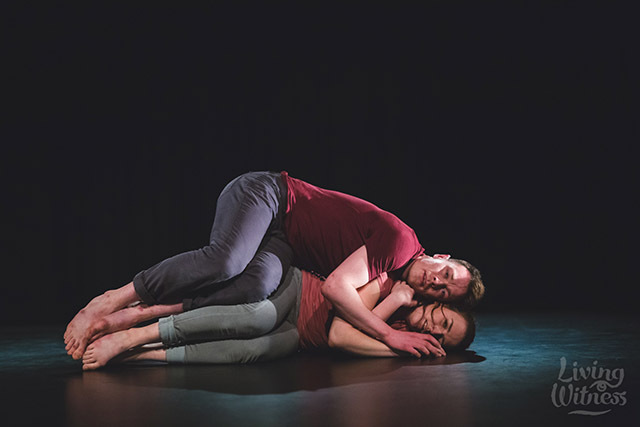 I had never seen or heard anything like this physical and visual theatre work and it allowed me to place Echo Echo’s practice in a fresh European context, we returned to perform there in 2006, and cemented my nascent place as part of the company. 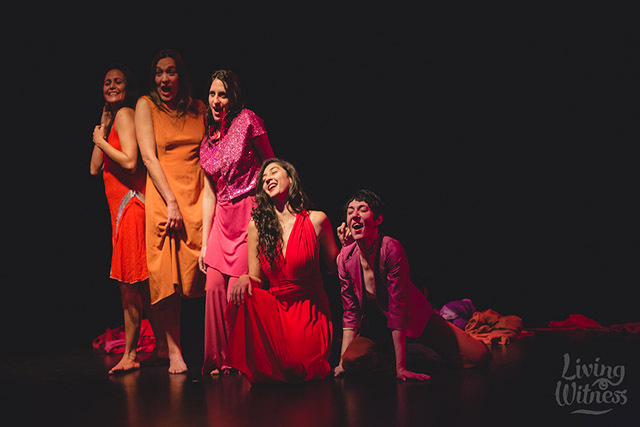 The vision of an international dance festival to connect the different strands of Echo Echo’s local and international work was first mooted in 2007. It took us six years to realise this dream and an undoubted slice of luck that City of Culture status was awarded to Derry-Londonderry in 2013. With vital support of Graeme Farrow at Culture Company and Gilly Campbell at ACNI, the resources for a first edition of Echo Echo Festival of Dance and Movement were finally confirmed after years of immeasurable development work involving many people. From 2013 to 2016 Echo Echo has produced four editions of the Festival under increasingly challenging financial circumstances and with enormous levels of goodwill offered by artists and companies involved, all while establishing its new home studios and annual programming of up to one hundred performance, participation and artistic development projects each year. Over these four programmes Echo Echo Festival has been privileged to host award-winning shows such as Fabrik’s Pandora 88 (Germany), Do-Theatre’s Hangman (Russia), and Ockham’s Razor’s Tipping Point (England). The Festival has commissioned new work by locally based artists including Ayesha Mailey’s Ludo Lusi Lusum, Kelly Quigley’s Fractals and Oona Doherty’s Echo Hunt as well as hosting new work by Bridget Madden, Sheena Kelly, Gary Rowntree and over 30 NI and Ireland based artists to perform their work – several artists going on to further national and international touring. Artists from over 20 countries have performed at the four Festivals including Casebolt and Smith (US), Chico and Shoko (Japan), Stellaris (Norway), Mirva Makinen company (Finland), and Voices Dance (Moldova) to name but five of over 40 international artists and companies. 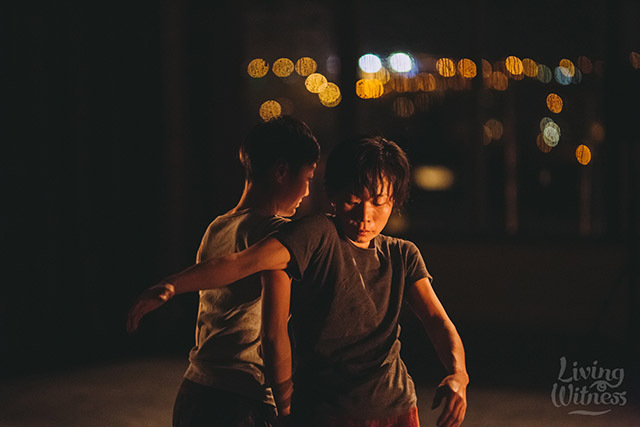 Engaging works for family audiences have been particular highlights with Tanzfuchs’ Munch (Germany), Zoe Ramsey and Tonya Sheina’s A Box (NI), and Spazio Seme’s Cimosa (Italy) among many others. Audiences have grown each year despite tiny Festival advertising budgets, and over 1400 audience and participants were involved in the most recent edition in 2016, including many returning visitors. From their feedback we know that many have had very moving and often life-changing experiences. It was challenging to bring the Festival out of Echo Echo Studios in 2016 for the first time to produce events in Foyle Arena, Ulster University, and at Donemana Primary School among many others. The Festival workshop programme has been hugely inspirational to both emerging and established artists and to public participants from local schools and youth dance groups and projects like Body Wisdom. Artist talks, Festival Symposiums, bursary programmes, film presentations, and live music events have attracted diverse attendance and participation from around the island. Partnership and collaboration has been an essential element. Another notable highlight of Echo Echo Festival has been the Open Call programme which has attracted in excess of 300 applications over the last three years. From this entry, a mix of 30 local and international artists and companies have been programmed but equally importantly it has been a wonderful creative exchange and led to numerous supported residencies at Echo Echo Studios, and opened doors for artists like Maria Svensson, among others, to collaborate extensively with the company – Maria joins the Echo Echo Ensemble for the company’s all-island tour of The Cove during February to April 2017. Echo Echo is delighted to have developed financial support for the Festival from a range of public and private funders including Arts Council NI and Derry City and Strabane District Council, several trusts and foundations, many local businesses, increasing box office revenues, and two crowdfunding successes with over 120 supporters. We are extremely thankful to them all – especially in these increasingly difficult times for arts funding. I believe it is vitally important that the ecosystems within Echo Echo and within the wider arts sector are recognised as playing key roles in the success of this event – without Steve Batts’ networks and experience we certainly could not have programmed such a richly diverse programme; without Echo Echo Studios and equipment resources, and the core Echo Echo staff and voluntary ensemble team, such an event would cost very substantially more; and without the warm and creative goodwill of many dozens of artists and partners involved it would be difficult to replicate the nuanced and amazingly supportive Festival audience that has now been developed. I hope that despite the ongoing funding pressures and persistent short-termism for artists and arts organisations that this particular ecosystem will survive to produce a fifth edition of Echo Echo Festival Dance and Movement in November 2017." Your blog is so amazing and helpfull.And it is the great idea .Thanks for sharing a batter idea.Please upload more post in different topics like top 10 horror movies of all time lose weight fast plan, top 10 horror movies of all time etc. Thanks much I keep learning exciting things in your post. In a small time I’ve learned so much. Your blog is so amazing and helpfull.And it is the great idea .Thanks for sharing a batter idea.Please upload more post in different topics like etc.Because your upload batter than other. Your blog is very informational, I had seen many blogs, but it is contains something new, I appreciate your hard work. Welcome, I think your site may have program closeness issues. When I take a gander at your website page in Google chrome, it looks shocking however when starting in Internet Innovator, It makes them secure. This is really great work. Help With Solidworks Homework Thank you for sharing such a good and useful information here in the blog for students. This is really a great stuff for sharing. Take My Online Class For Me Thanks for sharing. Thanks for sharing these tips. These are really valuable and provide enough knowledge for understanding and improving education skills. I have found this article very Unique here I am very Glad to get this, I would like to share this. 2. Sebagai media yang menunjukkan anda sebagai pengusaha yang sudah profesional, sebab memiliki alamat website pribadi. 3. Kemudahan berkomunikasi dengan pelanggan tanpa perlu terbentur toko online lain yang memiliki kepentingan sama. 4. Lebih mudah mempromosikan produk yang dimiliki dengan pelanggan yang hafal alamat website anda. I am looking around the Interesting Blog here thank you so much for this latest update. I have bookmarked this website and I will keep visiting you for further such interesting posts. This is really a great stuff for sharing. Keep it up. Help With Medical Science Homework Thanks for sharing. I have found this article very Interesting here thank you so much for this lovely article here. I have found this article very Unique thank you so much for this latest update. Hi buddy, your blog’ s design is simple and clean and i like it. Your blog posts about Online writing Help are superb. http://solidworksaid.com/ Please keep them coming. Greets! wowo. i get lots of information about ireland. its very nice article. It is very serious issue to talk. Thank you for sharing. This site is basic beginning late like the course by which the subject was plot. I other than like a touch of the suppositions also. With resistance imagining to the running with spread. It is one of the dumbfounding site in my point of view to the degree my gratefulness is stressed over this sort site. A dedication of appreciation is all together to share! Thanks for the blog. It was very useful for me.keep sharing such ideas in the future as well. Thanks for sharing the useful information. thank you , I’ve also been looking for information kind of this topic for a very long efforts and yours is the finest I’ve found up to now. however, what about the realization? Are you certain roughly the supply? The leading assignment help UK firm offers state of the art services to its Do My Solidworks Assignment clients with a promise of delivering all the required work well within the deadline.